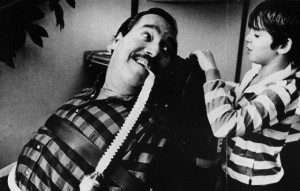 Today we celebrate the life of Ed Roberts, a Disability Activist, who would have turned 78. At the age of 14, Roberts contracted Polio which resulted in paralysis and having to spend his nights sleeping in an iron lung. Roberts not only accepted his disabilities, but he went on to build up a positive image and bright future for disabled people. Roberts went on to become the Director of the California Department of Vocational Rehabilitation, proving not only can you work with disabilities, but you can be a shining star that makes the world better for everyone.